This is a tree. It's also a brain. 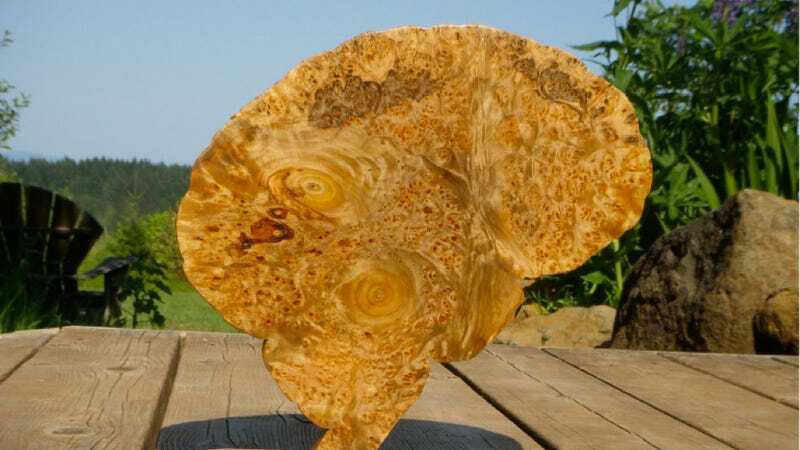 Feast your eyes on a Maple Brain — a cerebellar sculpture (adapted from and inspired by actual fMRI scans) hewn from the stump of a maple tree. Apparently the sculptor (who, judging from his website, probably goes by "Bachy"?) "can produce figured wooden brains customized to reflect your abilities, research interests or particular features of your own brain." Why yes, we would like one for our living room.